Modest Needs is an award-winning public charity with a simple but critical mission: we work to stop the cycle of poverty BEFORE it starts for the low-income workers whom conventional philanthropy has forgotten. To strengthen small non-profit organizations by providing a forum whereby such organizations can apply directly to the general public for the help they need to complete the relatively inexpensive projects that will allow them to better serve their clients and the communities they exist to serve. Modest Needs makes Self-Sufficiency Grants by remitting payment to a creditor for an expense on behalf of an otherwise self-sufficient individual or family for a relatively small, emergency expense which the individual or family could not have anticipated or prepared for. In making a Self-Sufficiency Grant, our goal is to prevent an otherwise self-sufficient individual or family from entering the cycle of poverty as a result of the financial burden posed by a relatively small emergency expense. For example, we might make a Self-Sufficiency Grant to cover the cost of an emergency auto repair that must be made if an individual is to continue working. Modest Needs makes Back-to-Work grants by remitting payment for a small work-related fee or expense on behalf of a temporarily unemployed individual. In making a Back-to-Work grant, our goal is to provide a willing but temporarily unemployed individual with the means to return to work. For example, we might make a Back to Work grant to cover the cost of a professional license renewal for a temporarily displaced worker. Modest Needs makes Independent Living Grants by remitting payment to a creditor for an expense on behalf of persons who are permanently unable to work but who nevertheless are living independently on the limited income to which they are entitled – their retirement income, or their permanent disability income, for example. In making an Independent Living Grant, our goal is to empower financially responsible persons who cannot work to continue to live independently on their limited incomes, despite an unexpected expense which no conventional agency is prepared to address. For example, we might make an Independent Living Grant to cover the cost of maintenance on a piece of accessibility equipment not covered by Medicaid, to cover an unexpectedly large prescription medication co-pay, or to assist with a large summer cooling bill. Modest Needs makes Non-Profit Grants by remitting payment to a creditor for an expense incurred by a small non-profit organization that will demonstrably strengthen that organization’s ability to serve its clients and community. 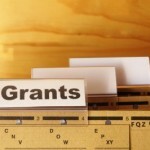 In making Non-Profit Grants, our goal is to provide a forum whereby small non-profit organizations can apply directly to members of the public for the assistance they need to complete the small projects that will allow these organizations to more effectively carry out their missions, but which most larger grant makers would not generally consider a funding priority. For example, we might make a Non-Profit Grant to cover the cost of a handful of new beds for a small but expanding women’s shelter or to assist with the creation of a basic website for a small non-profit with no ability to communicate directly with its own constituents. Check Frequently Asked Questions for program information and program eligibility. Please if you could please assist me with a self sufficiency grant or a non profit grant. I am in need of funds to help sustain my living at this point $2500, to complete a business plan for my nonprofit organization $475 and to pay off an existing educational loan that was for my daughter remaining balance is $2000 so that I can go back to school and obtain my masters in nonprofit fundraising. A little about me: I started a nonprofit organization in 1997 to support the chronically ill which I still have an existence; the gifts of love foundation Inc. I trained and became certified at Howard University as a Radiation Therapist treating cancer patients.. I worked in a private clinic for 19 years treating hundreds of patients annually. I then went on to teach at Howard University training students how to treat cancer patients in a clinical setting; I did this for 10 years. During my last three years at Howard University,I experienced major tragedy within my own family. My younger brother and only sibling was diagnosed in September 2009 with lung cancer and died two months later, two weeks after my brother’s death, my dad started vomiting blood and died nine months later from lung cancer both due to asbestos exposure. During this time I helped my mother take care of the two of them while still working full-time at Howard University and trying to put my daughter through college as a single mom. One month after my father passed, my mom was diagnosed with an aggressive rare breast cancer. Not even given an opportunity to grieve, I had to start planning to take care of my mother because her illness had taken a hold of her to the point where she could not take care of herself by the ninth month. I took care of my mom for another 14 months before she passed away. After going through three deaths within a 3 1/2 year period my body, mind and soul had truly gone through its own turmoil which led to me developing Fibromyalgia and severe chronic fatigue. You can imagine the effect that it had all my full-time job when I had to take medical leave to take care of my mom full-time because we could not afford a full-time nurse. My boss was not sympathetic at all and eventually she decided not to renew my contract and Howard University. I am now unemployed. I took on the burden financially of most of my family members while they were sick and now because of the stress and the lack of time to grieve I am now challenged with my own health issues. And now, it Is only because of my own need that I have discovered that there’s a GREAT need in our community to help those that are mobility challenged. I am now trying to find funding to develop a Business plan for my program that will assist senior citizens and the mobility challenged persons that will provide transportation and mobility scooters during recreational and personal outings and so I can return to school to further my education in nonprofit fundraising to sustain my organization.